The last 10 years have been an incredible journey for me, I have worked with some wonderful people from John Thornhill who showed me the ropes back in 2008 and whose expert support and generosity continue to help me along the way today to Bart Hennin my product creation partner whose exceptional talents have contributed to some of the most successful Etsy business courses available anywhere! Below you will find a brief synopsis of each of the courses selected. Simply copy the HALF PRICE coupon code, click the link to the sales page and enter the coupon code at checkout to claim your discount. You can buy as many of the courses as you like and each comes with a 100% satisfaction guarantee! Prints Make Profits – my very first product – 10 years and numerous updates later it is still as powerful in 2018 as it was in 2008! 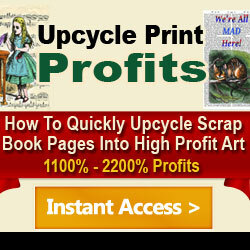 A unique method for turning scrap pages into cash that will really get your creative juices flowing! If the idea of creating your own designs with the help of free images from the public domain archives that you create once and sell over and over on ebay, Etsy and Amazon excites you then this course is for you! If you are looking for an Etsy business model where you create your product once and sell it over and over and never need to ship anything this course is for you! Click on the graphic to discover a rabidly hot niche of printables that you can use to build your hands free empire today! In 1871 the current system of including a black and white drawing of the invention was introduced. 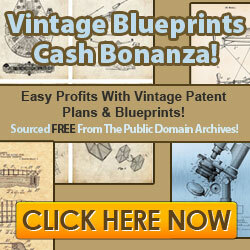 The great news is – by definition these patent drawings are in the public domain so you can get them FREE (we show you where to find them) and sell them for big bucks!! PLUS – A FREE DRAW FOR A VALUABLE PRIZE! 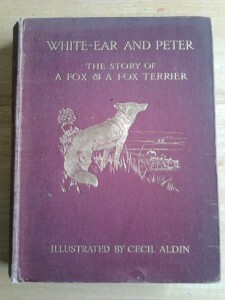 White Ear And Peter published by Macmillan London in 1912 illustrated with 16 full color plates by the renowned and hugely popular sporting artist Cecil Aldin 1870-1935. This is a rare, first edition, antique book (currently priced in excess of $200 per copy on addall.com). The half off sale and antique book giveaway are now closed – Monique Broz, Brunswick GA is the lucky winner of the book! Sign up to my blog updates below to get priority notification about all future offers and giveaways! Thank you for helping me make this 10 year milestone possible! * The free prize draw is only open to readers who have purchased all 4 of the above courses (either now or at any time in the past) I will be checking my sales records to keep it fair for everyone. Congratulations Stuart!!! Happy 10th Anniversary and I can’t wait to celebrate the 100 year mark with you. I can’t wait until I can share my 10th Anniversary with you as well. Thank you for the awesome trainings and for being one of the honest ones on the internet, truly appreciated. Looking forward to more trainings from you. I have bought everything you have come out with and will continue to do so. You are the only one I trust to have complete informational courses, written to be easily followed and understood and made for all levels of internet experience. Looking forward to the next one. Stuart, congratulations on your 10 years and I hope you have many more. I have all four courses and most of your Etsy courses as well. The content is always very clear and informative. I have learned to trust you very much. IBesides, your Irish. My mother is Irish, family Dyer). I have, I believe, all your courses, plus others you’ve recommended. I’ve also sold a course or two as an affiliate. I recommend your awesome courses to anyone. Your info has been a breath of Freshness. I continue to profit everyday from your courses. I own your courses including the coloring book and Etsy courses. Would love to win the book. Congratulations on the ten years! I have all four of the mentioned products and others! I think I own all of anything you have offered for sale. Stuart, congratulations on 10 years of information marketing! I’ve always appreciated that you don’t hide behind your email address. You’re a real person who always replies to requests personally and that’s increasingly rare these days. Your courses are well prepared, thorough and easy to implement. They provide lots of great value for the money and I’ve learned a lot from them. You’re clearly demonstrated that the best way to run a business online is no different than the best way to operate one offline – by providing real value to customers. Congratulations!! I don’t own all of your courses, and can’t afford to buy any right now, but I LOVE the ones I have!!! My favorite so far is Printable Profits Empire, but one of the others I got recently, the Etsy one, may very well take it’s place. Your courses are clear and concise, no fluff, and I love that. My hubby and I own all 4 of these listed plus some of your Etsy and Coloring Book page courses. They are always well put together and have continued to make us money. Thanks so much for all your hard work. Congratulations Stuart, I’ve collected your work from the start. It’s been quite a journey.Where has the time gone. Stuart, congrats on your 10 year anniversary. Your etsy products have been wonderful tutorials on how to be succeed on Etsy. I have purchased all of your courses from the beginning. They are very straight-forward and easy to follow. I feel like you are not withholding information. I like that you make yourself available to answer questions and it is clear that you want people to succeed! Thanks! Congratulations! That is a terrific track record. I am the proud owner of all of these products, having purchased Prints Make Profits in 2011 and moving on from there! I know the value of Stuart Turnbull’s products and the information they contain, so I grab them quickly when they are published. Thanks ever so much. May you have many happy years ahead! Can it really be 10 years ago I was looking for other items to sell in my Ebay shop, alongside our original prints and vintage adverts? 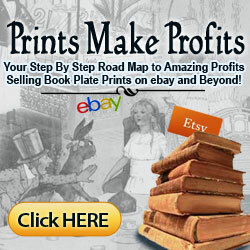 I stumbled across your “Prints make Profits” course and loved the ideas you explained so clearly. You must be a mind reader as everytime I feel I need to add additional income streams, you pop up with a new, and very relevant, course. Even better I’ve made a good profit from ALL of your courses and have now reached over 120 Etsy sales. So looking forward to the next 10 years! I do own all four and they have been very helpful. Keep up the good work. Congratulations on ten years of providing the best information to all your buyers. The first person to give me workable ideas that made money and you are always willing to give sage advice on request. Congrats on 10 years ! – You must be doing something right as most internet courses and marketeers are gone within 6 months. I can happily say I have made money using your courses, in fact I sold a original print today online. I bought this book for $3 which has turned into about $300 overtime and still going. Congratulations on ten years of success, and here’s to another ten! You are one kind and generous guy. I have many of your produ cts and am happy to say I sell prints online thanks to you. You’ve always responded to my emails and I thank you for that so here’s to another 10 years of doing business with you. WoW 10 Years!!!! Love your work Hope You Have another 10 times 10 Years. 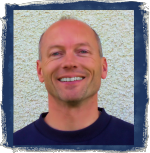 ALL Stuarts publication are filled to the brim with relevant info for any project you care to start- but the key to it is START, I was a late starter but I’ve got to thank Stuart/Bart for all their hard work and keeping all courses affordable, so there is no excuse to start an online business. More power to your elbow from one highly satisfied customer. Wonderful guy, so generous with his help and he also replies immediately to any emails with problems or enquiries. All the books are WELL worth the money and you won’t regret ordering any of them. Mucho congratulations on your 10 year anniversary, Stuart. I think I’ve followed you from the beginning and I’ve bought all of your courses with absolutely no regrets. Any failure to fully absorb and implement your offerings are all mine. You are a teacher par excellence and just a really nice guy, to boot. May you have many decades more of expanding the frontiers of internet marketing. You are one of the very few genuine guys on the internet. Great products and easily accessible to answer any questions. Congratulations on your success and on your 10th year anniversary. 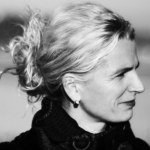 I have all your courses and always look forward to your next creation. Great ideas, great content, and great pricing! Thank you for all the inspiration. Best wishes for you in the years to come. I have most of your products now. I’m still reading and learning each and every day. I also am a student of John Thornhill. Look forward to seeing what your next product will be. Many congratulations on your 10yrs doing what you do. from your ideas,at more than a reasonable cost. 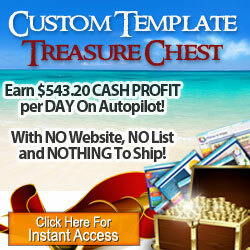 Have all of your programs and you never disappoint, always a quick response to my questions. No doubts for anyone considering your offerings. Congratulations Stuart!! Love your work! Wow, doesn’t time fly when you’re having fun 😀 It doesn’t seem like 10 years since I bought the original Prints Make Profits. Many congratulations on a very successful decade and thank you for sharing that success with your many followers. I have been on many people’s email lists over the years but very few of them actually walk the talk like you do. I would never have opened an Etsy shop without all the guidance I got from you. Thank you soooo much for your willingness to share what you have learned… it’s my bad that I haven’t done a better job of using your great ideas and making my zillions! I’m fairly sure I’ve purchased all you guides in the past. Congratulations on ten years. I already own all of your courses. 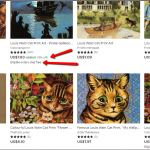 And I continue to make money on Etsy using the strategies I learned from you. My son also is doing well from what he learned from you. Hope you will continue to bring out valuable information for us. My congratulations, Stuart. I own all 4 courses, and find them to be extremely well-layed-out and detailed. They are worth much more than you charge. I have actually only put one into use so far – I haven’t had time for the others yet. But in 2 years on Etsy, my Prints Make Profits store, SuperiorVintageArt, has sold 219 prints. I am very pleased and look forward to future courses. Hi StuartI Have all of your offerings and find them very easy and profitable to implement.I seriously look into everything you come out with.Congrats on ten years and many more. I’ve got everything you’ve done and you have always over delivered. Thank you for the great content and congratulations on 10 years! ????? Although I haven’t put everything into practice, I have taken ideas from most of them and used them in my main business. I sell my products in an Etsy shop, I only set this up because of Stuarts products, and too be honest it has worked way better than I expected. The Etsy shop has opened up a whole new market for me in the USA, and it must be nearly 10% of my business now. Congratulation on your 10 year milestone. Stuart: You have been an inspiration from the start! Your customer service is personal and fast… thank you for all you have done for me and everyone over the years. Many more to come!!! I been following since the beginning of 2008. I must say congratulation on your milestone. courses I haven’t implemented yet . that I started to follow you and Bart. and gave him hope in the internet and making money. These days, not many people stick very long at anything and so you should be proud of your ten years. Yup, I have all your products too, and like others, await the launch of each new one with anticipation. Has it been 10 years, WOW! I’ve been with you since the beginning, I’m sure that I have every one of your courses! I don’t know where I would be without the knowledge you have shared with us. I always look forward to what you have to offer. keep up the good work. Congratulations, Stuart. Congratulations Stuart. I still remember you kindly spending nearly an hour on Skype with me giving me some very good advice on how to set up on Etsy. I have all four of these products (and most of your others!) and whilst I haven’t made my fortune with them, that’s down to me NOT the products which are great. Expertly researched, well written and extremely detailed. 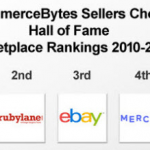 I would recommend them to anyone who’s looking for a way to sell products online. Keep up the great work! Fantastic. Have all four of your products and the reason is that I recognized their brilliance at once! Congratulations on Your Big Milestone! Wishing you another 10 years of success! How do I feel about your success? Happy for you Stuart, keep going. Congratulations Stuart on your 10 year anniversary. I’ve followed you for most of those years 🙂 and bought most, if not all, of your products. I always await your product releases with eager anticipation and am always satisfied with my purchases. Great offer for everyone – I have the full set and it’s great so those who haven’t, get ordering, you won’t be disappointed.